Environmental protection and preservation of natural resources represents one of the more important aspects of any industrial activity. Raising of community awareness of the importance of nature-preservation and protection of the environment has slowly been on the rise over the past decades. Numerous acts have been enacted globally and incorporated into many national legislations. In the Republic of Serbia environmental protection is primarily regulated by the Law on Environmental Protection, as a general law setting the principles of environmental protection in Serbia. This law will be applied whenever the matter of environmental protection is not regulated by a separate law for a specific field regulated by such law. Environmental protection in the mining industry is primarily regulated by the Law on Mining as a separate law. However, this law does not regulate environmental protection in detail, but rather for the most part refers to the application of the Law on Environmental Protection. 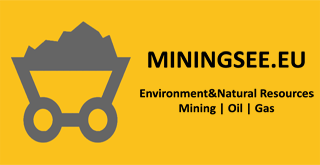 The Law on Mining has attempted to draw attention to the necessity of environmental protection in this field by introducing binding provisions for business entities operating in this field. This was achieved by imposing multiple conditions for obtaining various permits (approvals), as in the case of applications for research approvals, approvals for exploitation fields and exploitation approvals, approvals for constructing mining facilities and for obtaining usage permits. Namely, any business entity seeking to obtain such approvals has to submit necessary documentation relating to environmental protection (e.g. an environmental impact study which needs to receive the consent of competent environmental authority) and meet certain requirements (lack of restrictions on conducting research relating to protection of areas of exceptional natural beauty, underground water sources for public supply, endemic plants and animals, etc.). In such documentation a business entity should set out an environmental protection plan and how it will be implemented. Thus, for instance, a feasibility study on exploitation of mineral deposits has to include an environmental impact assessment covering measures for protection and rehabilitation of the environment, reclamation measures, the impact of mining activities on the community, etc. An important condition for obtaining any of the mentioned approvals is that a potential holder of the approval cannot be a business entity with outstanding obligations relating to rehabilitation and environmental protection. The Law also generally stipulates that the business entity (holder of the approval) has to plan and implement various measures aimed at environmental protection (measures to prevent endangering waters and the environment, including reclamation and rehabilitation measures) and to keep records of types and quantities of hazardous and harmful substances they use in their business operations and release or dispose of in the environment, all in compliance with the Law on Environmental Protection. This means that such measures not only have to be met before obtaining the approval, but have to continue being implemented after the approval is obtained, as failure to observe those measures could cause revocation of the approval. In this respect a holder of the exploitation approval has to provide expert supervision (by a person meeting the legal requirements and holding necessary license). Among other things, the supervisor has to monitor whether the approval holder is observing the environmental protection measures during exploitation. The competent authority will also revoke an exploitation/mining operation permit if the exploitation is endangering lives, health or the environment, and other measures prescribed by the law and other regulations are insufficient to prevent this. In case of closure of activities, the exploitation approval holder has to take all measures to protect the mining facility and the land on which the works were carried out, and measures to protect and rehabilitate the environment in order to protect lives, health and property in full accordance with the main mining closure project. The exploitation approval holder has to carry out land rehabilitation and reclamation measures during and upon cessation of exploitation, no later than one year from closure of operations. The measures carried out are reported to the Ministry in charge of the environment, or to the competent authority of the Autonomous Province. In case of a planned closure of mining operations when the exploitation is conducted by a public company, it has to first prepare a mine closure program which will, among other things, include a solution for environmental issues caused by the mine closure. In case of an abandoned mine where the exploitation approval holder is unknown or no longer exists, and ownership of the mine cannot be determined, the Government will specify the conditions, criteria, procedure and manner of land rehabilitation and reclamation. Responsibility for implementation and improvement of environmental protection measures lies with a director of business entity holding the permit, and also with the person with special authorizations (as determined by the act on organization and job systematization). Failure to observe these measures will be a trigger for revocation of the permit/approval and constitute a commercial offence resulting in a fine ranging from RSD 1,500,000 to RSD 3,000,000 for a legal entity/entrepreneur and from RSD 100,000 to RSD 200,000 for the responsible person of a legal entity. Raising awareness of the importance of environmental protection is a long and slow process. Harmonization of the new Law on Mining with European standards marks a step towards the advancement of this process in the mining industry. Compliance with the law relating to environmental protection would be to the mutual benefit of both mining operators and the local community. The mining operators would not only avoid negative consequences in the form of fines or revocation of permits, but would also gain the ongoing trust of the local community which is of crucial importance for the delivery of future mining projects. On the other hand, as a result of mining operations, local communities would lower the unemployment rate of the local population and benefit from an inflow of investments in their region, and most importantly, notwithstanding the mining operations, manage to preserve and protect the environment.